Having already conquered the breakfast and lunchtime trade, Maxi’s is set to own evenings as well, having recently expanded into the dinner trade. 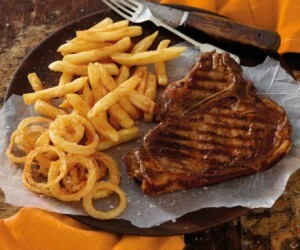 In addition to Maxi’s highly popular menu offerings, all 74 of its nationwide restaurants are encouraged to concentrate on the dinner trade, with 1many of the stores staying open for longer hours and serving a variety of scrumptious starters such as crumbed mushrooms, riblets, calamari, and a brand new cheesy garlic roll, as well as dinner offerings. This offering is not only attracting a whole new market but is ensuring that the hunger pains of existing customers are met through a series of extended promotions that are running. 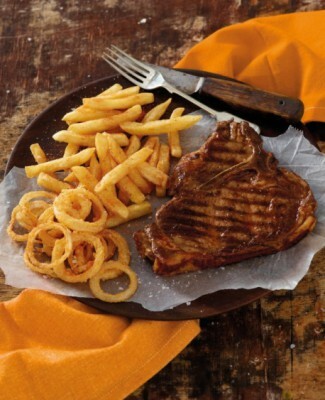 Loyal customers will be tucking into mouthwatering specials such as a 350g T-bone steak with chips and onion rings for R59.90. To ensure that its franchisees and staff are adequately prepared to satisfy the appetite of customers during the early evening trade, Maxi’s has embarked on staff and management training, as well as a substantial marketing drive including billboard advertising, in-store collateral, and flyer drop offs. “Our main objective is to position Maxi’s as an all rounded family restaurant which serves the tastes of all consumers, anytime of the day. We are certain that consumers will embrace our extended meal offerings,” concludes Calitz. 1 Dinner meals are served from 3pm. To find out your nearest Maxi’s restaurant trading times, please visit their website at www.maxis.co.za for each store’s contact details.